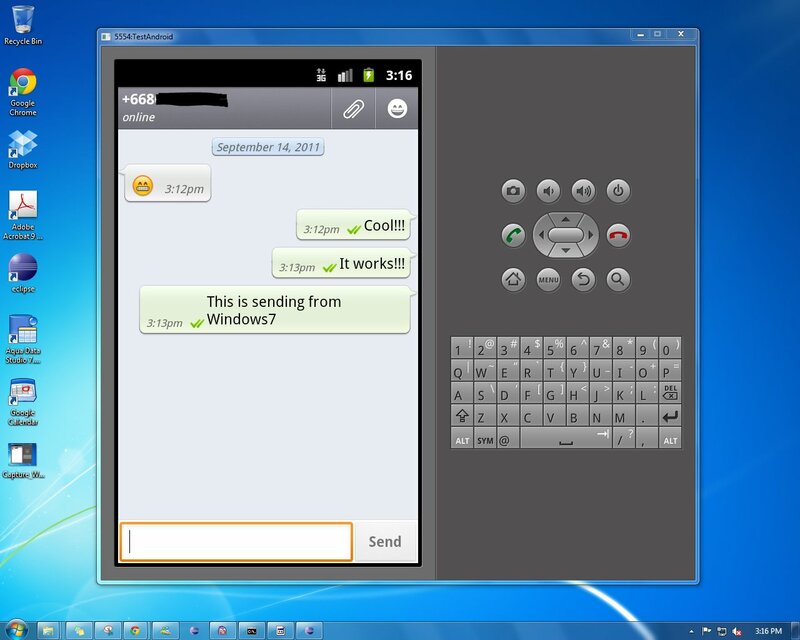 Home » BLACKBERRY » MOBILE » SOFTWARES » Use Whatsapp on Windows and Mac and how to save your conversation. Use Whatsapp on Windows and Mac and how to save your conversation. USE ON PC ( WINDOW OR MAC). You can use wasp on your window or make us. Here I mentioned few steps through which you will able to use . Step 2: If you want to use with Bluestack then simply download and install it, then run the Bluestack and click on Apps>>>Then Click on the Tab Social >>>and select Whatsapp and Install it. Step 3: If you want (You wave) to use ,>> just download and install. Now download App ( Whatsapp. apk) >>>and move the downloaded file to a PC hard drive. (whatsapp. apk) file into that directory . Then Click on View >>>next redraw Icons.>>> You will see Whatsapp icon . Note : You have to enter Contacts and Save them manually with your own hands. I hope This tutorial Will help you . 1) First of all Open the Whatsapp App on your Android Smartphone then press the menu key and then tap on Settings as you can see in the Image below. 2) Now tap on Chat Settings. 3) Now you will see an option called Backup Conversations just tap on it.As you can see in the Image below it is backing up your Whatsapp messages. 4) That’s it now you Whatsapp messages have been backed up.